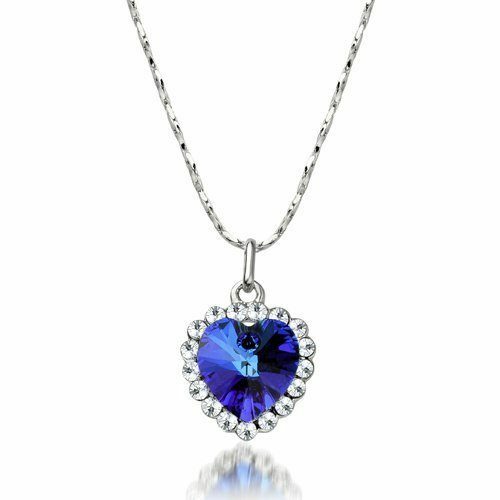 Heart of Ocean Necklace Only $1.96! PLUS FREE Shipping! You are here: Home / Great Deals / Amazon Deals / Heart of Ocean Necklace Only $1.96! PLUS FREE Shipping! Heart of Ocean Necklace Only $1.95! PLUS FREE Shipping! Woo hoo! We have another HOT deal on this gorgeous necklace! Pick up this beautiful Heart of Ocean Necklace for just $1.96 + FREE shipping! I’ve loved this one since I first saw it because of the deep blue color and the rhinestones! Make sure you grab it at this HOT price!